I'm just going to say right up front that this was not a hit with me or my movie group. I don't know, I guess had I known what we were getting ourselves into, our reaction might have turned out different. But we didn't, and based on all I heard from others and online, it was an early 90's gory horror film. That's all I knew going in. So essentially, we were pretty excited. I don't know. Maybe I just didn't get it. But this was a terrible film. And I'm not alone on this. None in our group liked it at all. In fact, someone fell asleep and slept through the entire thing because he was so bored. The film offers nothing to keep you invested for the first 45 minutes, and sometimes you wonder what kind of film this is even supposed to be, because it's painfully obvious that the filmmakers aren't even sure. The first half of the film is utterly confusing, and there are no hints or signs whatsoever that anything that's happening, however random or intentional it is, has any meaning later on in the film. You're so confused as the film jumps from one story to the next without any connection between any of them. Of course you find out later that there are, but by then, you just don't care anymore. I think the films biggest fault is just how uneven it is. For a film that's short and doesn't even crack the standard hour and a half, it's surprisingly dull for the most part. It lacks a consistent pace and oftentimes shifts tones so regularly that you really can't tell what genre this is supposed to fall under. And sometimes that's fine and it works, but when a film is as boring as this one is, you just get annoyed. 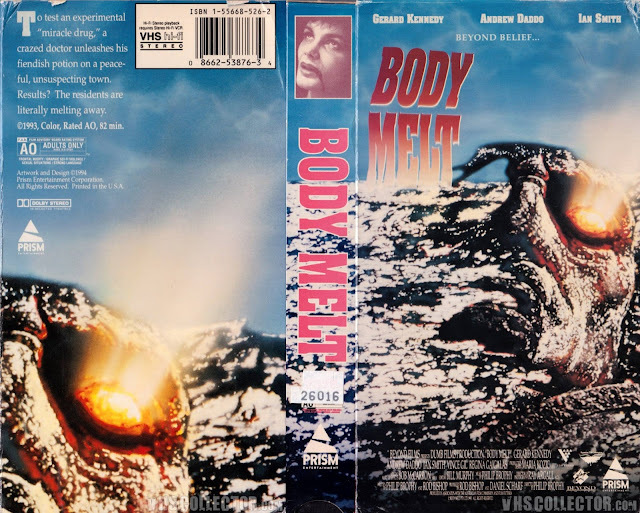 Whether it was intentional or not, Body Melt shifts from early Peter Jackson comedy/horror, to serious detective story, to.......oh hell, who cares? It's a mess. One of the biggest draws to this film is it's over the top gross-out effects work, so I hoped that if the film as a whole was bad, then maybe it's killer effects work would save the day. Nope. While the effects work is indeed impressive, especially for a low-budget horror film, these sequences are shockingly brief, and very few and far between. For a film called Body Melt, there just wasn't enough Body Melting to be done. It's a shame really. All the right ingredients are present for a solid cult classic balls-to-the-wall gorefest, yet it repeatedly fails to deliver on so many different levels. 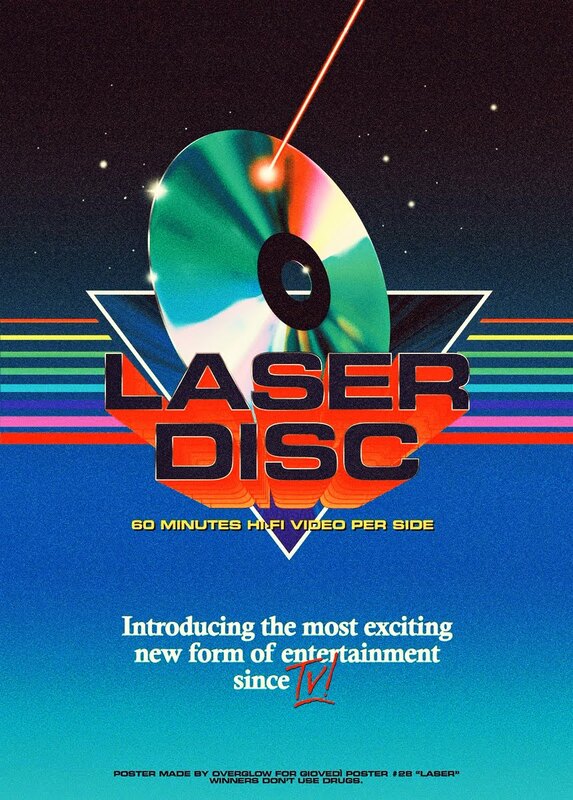 I'm kind of surprised at how sought after this film is, and how much the VHS, DVD and Laserdiscs go for these days. After watching it, I'm glad I didn't shell out any money for it or else I would have been upset. I streamed it on a free trial through Amazon and Shudder. It's a shame really, because we were all genuinely excited about this one. It has it's moments, but there just aren't enough of them, and the film as a whole is severely uneven and lacks any clear direction to be enjoyable.